The stone walled and roofed hut is well insulated and heating is solar powered. It has a wood- and gas-fired kitchen with running water. 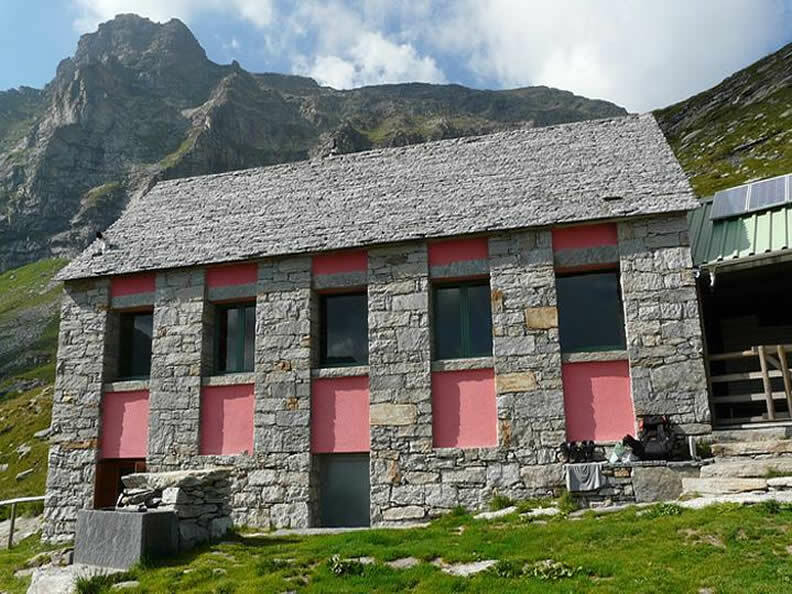 The dormitories are equipped with mattresses and blankets in the old part of the hut; the new second floor offers the convenience of 35 modern beds. Access route from Sonogno 4 h (experienced hikers). 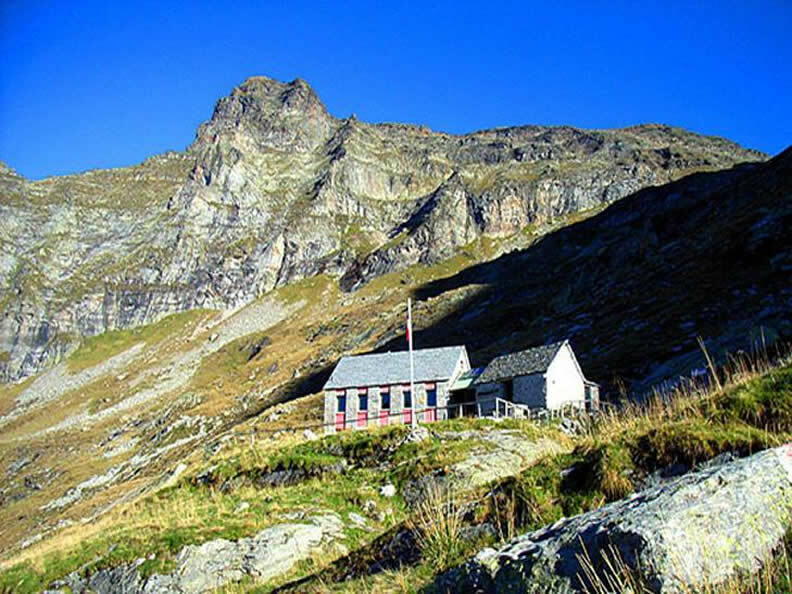 from Prato Sornico via the “Bocchetta di Campala” and Soveltra hut. 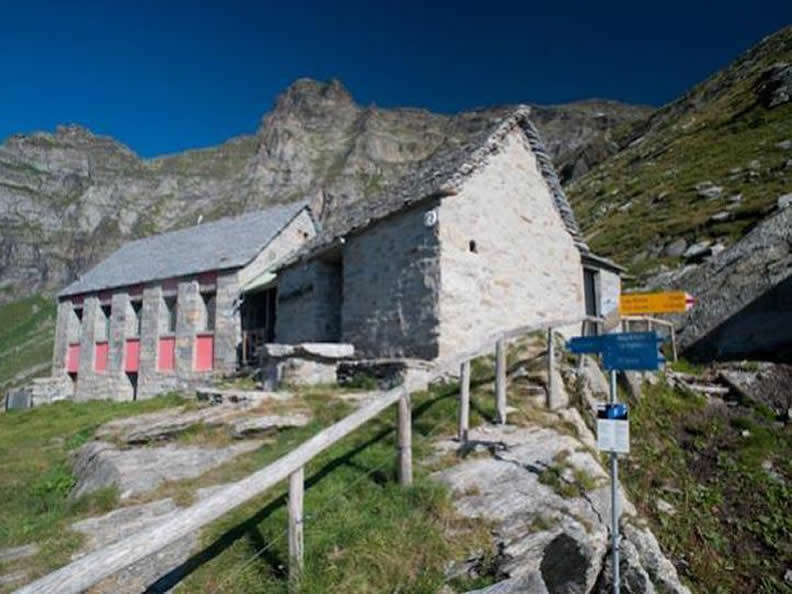 Traverses to Alp Sponda across “passo Barone” (2582 m) 4 h, to Cógnora hut via “Passo Piatto” (experienced hikers) 5 h.
Excursions Lake Barone and Porchieirsc – descent to Prato Sornico via the “ bocchetta di Campala” and Soveltra hut (2323 m) VAV. Climbs Pizzo Barone (hikers) – Pizzo Campioni – Pizzo Scinghino – Corona di Redorta – Pizzo Campala – Pizzo Madas. A large herd of ibexes, or wild mountain goats, has inhabited the area on and around the Pizzo Barone for several years.